Glass tinting in Houston, Texas, is pretty much a necessity! With scorching temperatures in the summer and sun rays that beat right through your car's windows, tinting provides a much-needed barrier from harmful UV rays and provides great protection to the interior of a vehicle. Just like using sunblock to protect skin from the harmful effects from the sun, tinting the glass on your vehicle will protect the interior, keeping it cool inside and protecting you while you drive. By applying the tint, you are blocking a large percentage of the sun's rays that would otherwise heat up the inside of your car or truck. You'll spend less time running the air conditioning because your vehicle will stay dramatically cooler with the application of a glass tint. Not to mention, your upholstery will retain the look and appearance you love about your car or truck—especially if it's leather! The look of tinted glass dramatically enhances the overall appearance of your car. You can choose from different levels of shade depending on how much tint you prefer to have. Whatever shade you choose, the sleek, dark tint will complement your vehicle's color and give you privacy from other drivers on the road while still being able to see outside. Contact us today! Texas Auto Glass has great specials to choose from and we offer reliable, same-day auto glass service on-site at your home or work! 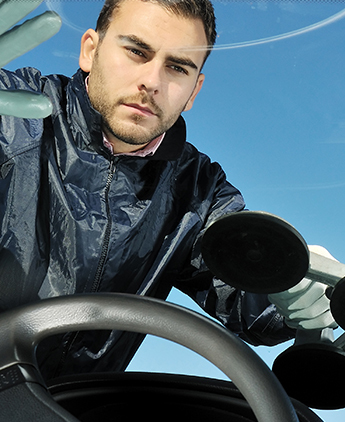 Texas Auto Glass proudly serves customers throughout the areas of Houston, Jersey Village, Cypress, Spring, Aldine, Tomball, The Woodlands, Humble and Conroe.